"Experience was great. Information given was explained well. Final product was what we had ordered and was delivered promptly." "The accessibility of the NSS staff was outstanding and their positive continuous attitude helped greatly." 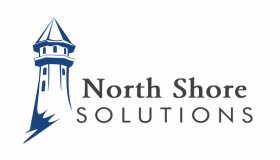 "We are absolutely satisfied with our website from North Shore Solutions. Our website has become our main line of communication." Catering to municipalities is a huge part of our business. We have contracts with towns, villages and fire departments all across New York State that provide valuable information to residents, businesses and visitors. Affordable municipal websites starting at $490/year!